(TibetanReview.net, Oct21, 2015) – The Election Commission of the Central Tibetan Administration at Dharamshala, India, has announced Oct 20 that it will shortlist two candidates from the result of the preliminary poll held on Oct 18 for the Sikyong election for which voting is due on Mar 20, 2016. However, in case the margin of the difference in votes won by the second and third highest polling candidates is less than 20 percent, it will shortlist three candidates. Under the exile Tibetan election rules, candidates shortlisted thus will be the official candidates. The commission is entitled to shortlist up to six official candidates from the result of the preliminary poll. However, others who do not make it in the official list can still offer themselves as independent (or “voluntary”) candidates. 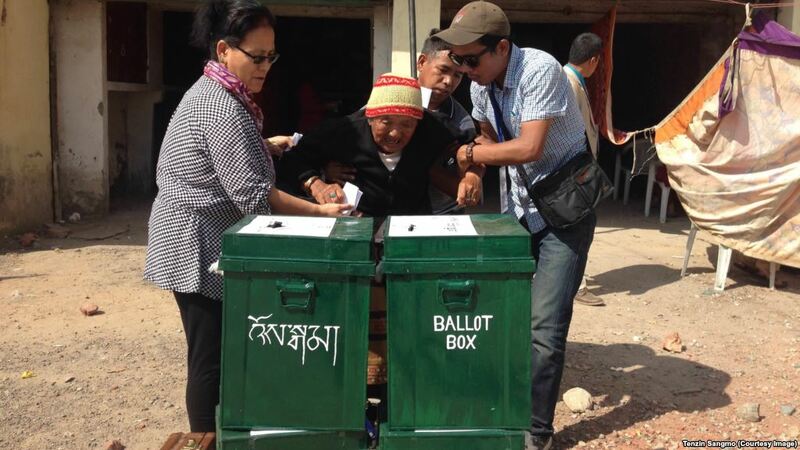 Likewise, the Election Commission has announced that the number of official candidates for the parliament seats will be twice the number of seats reserved for each block-constituency, which means 20 candidates each for the provincial constituencies of Dotoe, Domey, and U-Tsang; four candidates each for the religious constituencies of Sakya, Kagyu, Nyingma, Gelug, and Bon; four candidates each for the geographical constituencies of North America and Europe and two candidates for the geographical constituency of Australasia and free Asian countries other than India, Nepal and Bhutan. These will be in addition to the number of independent (or “voluntary”) candidates who may offer their candidature for election to these seats. Tibetans across the free world voted in a preliminary poll on Oct 18 for the eventual election of the head of their 15th exiled administration and the 16th exiled parliament, both based at Dharamshala, India. Although there were no official lists of candidates for the preliminary poll, a number of Tibetans had announced their candidature for these posts, giving the registered voters, numbering more than 87,000, a measure of options to make their choices. In fact, the purpose of the preliminary poll in the exile Tibetan election system is to propose candidates for the actual election. Voter turnout was reported to be high, although official figures are still not out. While more than 70,000 of the registered voters live in India, Nepal and Bhutan, nearly 10,000 live in North America, close to 5,700 live in Europe, and nearly 1,000 live in Australasia and other countries. For the 45-seat parliament election, voters in India, Nepal and Bhutan are required to choose MPs to represent their traditional provinces in pre-Chinese occupied Tibet while monks and nuns get to vote both for their religious and provincial MP seats. Voters in the other countries, on the other hand, get to choose MPs to represent their current regions of residence. Six people had offered their candidature for the Sikyong election, although voters were free to vote for anyone apart from them. They included the incumbent Sikyong Lobsang Sangay, the Speaker of the exiled Parliament Mr Penpa Tsering, the CEO of the Bangaluru-based Federation of Tibetan Cooperatives in India Mr Tashi Wangdu, Tibetan writer and former political prisoner in Chinese ruled Tibet Mr Lukar Jam Atsok, and former soldier in a special unit of the Indian army Mr Tashi Topgyal. Besides, large numbers of people have offered their candidature for the parliament seats with poster campaigns.